A log cabin high up on the bank of the cascading mountain stream, amongst the trees with views out to the surrounding mountains. A simple but comfortable place to rest a while with bed-settee, kitchenette and shower room. 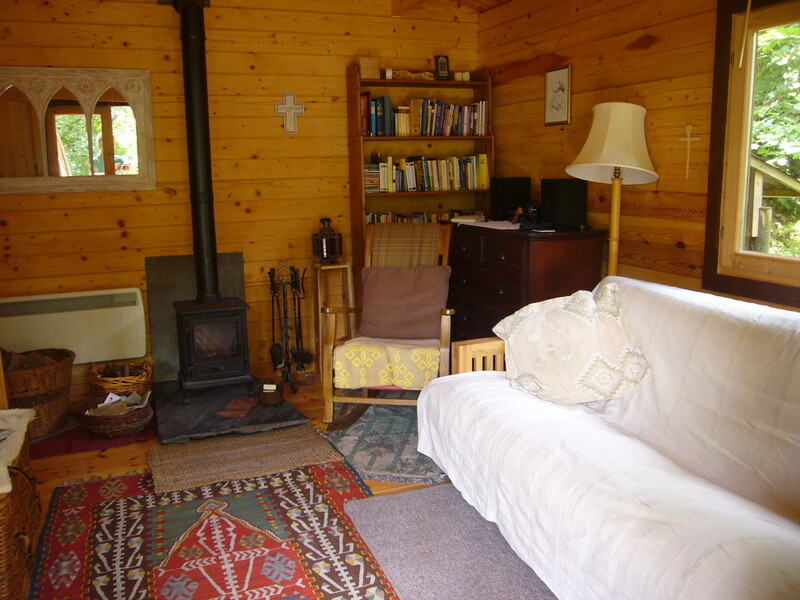 Keep cosy with both a log stove from our own fallen wood and electric heating from our own hydro electric generator. Short or long stays welcome. Work continues to renovate the 'Hermitage', the old priests cottage dating from the 1600s. Day visits by individuals or small groups are very welcome. 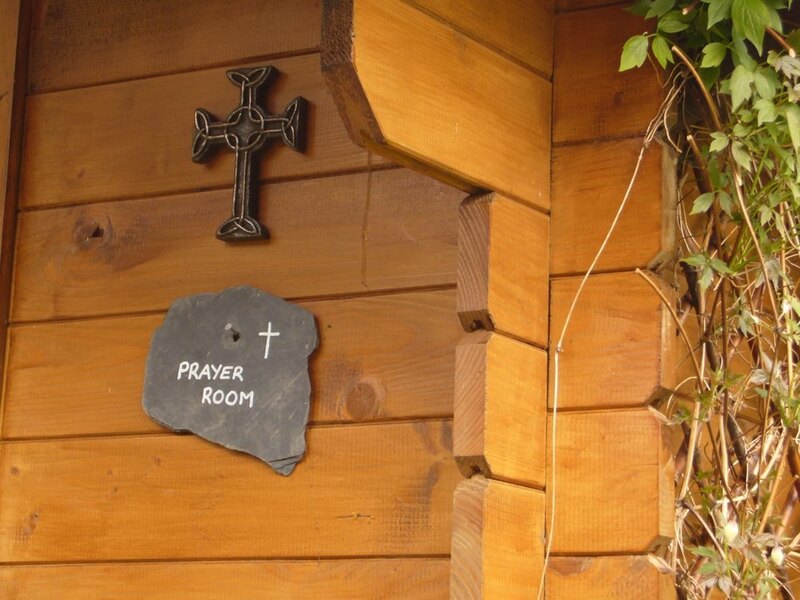 A small prayer cabin is available for use during the day. 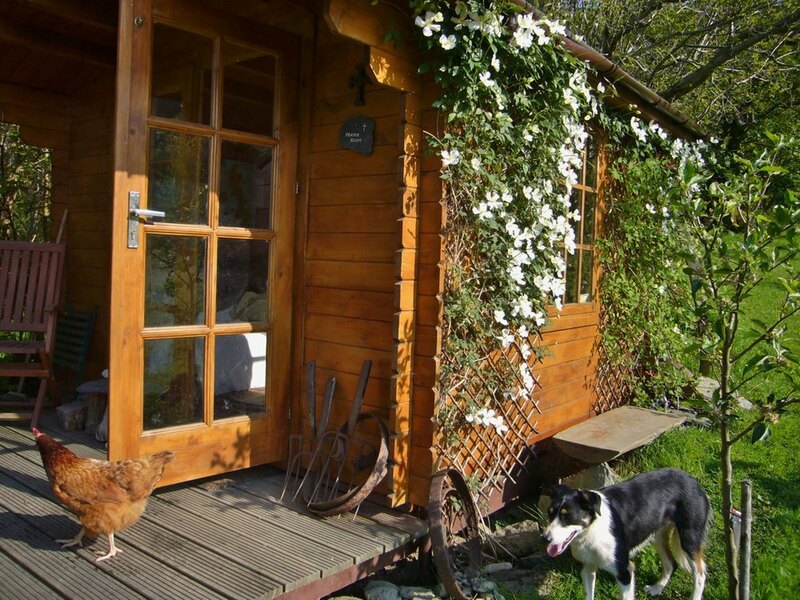 The Shepherds Stream Prayer Retreat is unsuitable for people under the age of 18yrs and no dogs are allowed on the premises. Shepherds Stream is a registered charity. There are no set charges to visitors, simply an invitation to make a discretionary donation.